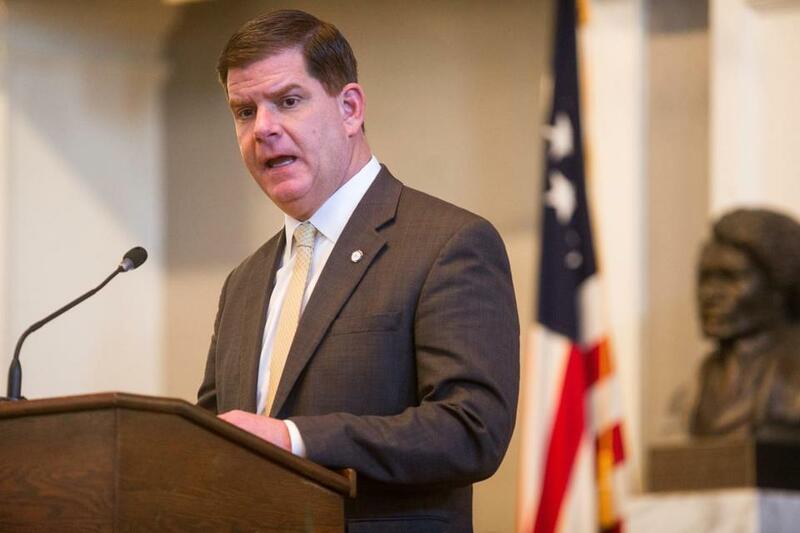 Mayor Walsh signed a formal agreement with the USOC that bans city employees from criticizing Boston’s bid, documents show. If you’re a Boston city employee, there’s now an official decree: Don’t badmouth the Olympics. The “joinder agreement” forbids the city of Boston and its employees from making any written or oral statements that “reflect unfavorably upon, denigrate or disparage, or are detrimental to the reputation” of the International Olympic Committee, the USOC, or the Olympic Games. Instead, the USOC and the Walsh administration must “work cooperatively together to manage, complete, and promote” the city’s bid to the International Olympic Committee. Boston city employees “shall each promote” the city’s bid “in a positive manner,” the agreement adds. Sarah Wunsch, staff attorney at the American Civil Liberties Union of Massachusetts, said Walsh’s agreement blatantly violates city employees’ First Amendment right to free speech. “I think on its face it’s unconstitutional,” Wunsch said. She said the law clearly allows public employees, as citizens, to speak out on matters of public concern, unless their speech would so disrupt their workplaces that the government could not run. Walsh defended the decree while insisting his intention was not to crimp open debate about the Olympics. He said no city workers would be reprimanded or punished for voicing their opposition to the city’s bid for the 2024 Games. Asked why he signed such an agreement, Walsh dissmised it as a “boilerplate’’ document. “It was in the agreement, and we had to get the agreement signed,’’ he said. USOC spokesman Patrick Sandusky also defended the document. “In terms of the non-disparagement language in the agreement, that is boilerplate language that is typical of contracts between parties,” he said in a statement. Wunsch said Walsh needs to correct the agreement immediately so that city employees such as teachers, firefighters, and Parks Department workers feel free to speak at community meetings without fear of retaliation from City Hall. Walsh has said the city will host nine such meetings to discuss the benefits and drawbacks of the Olympics. The IOC is expected to pick a winner from among a number of cities around the world in 2017. Meghan Irons and Todd Wallack of the Globe Staff contributed to this report.